Website design for business is essential to stay ahead of your competition. A professionally designed website gives you a distinct advantage over those that don’t. Today an increasing number of people are using the Internet to search for products and services. In our fast-paced, mobile society the Internet has become so commonplace that people expect all businesses to have a website. Using the Internet as a marketing tool is a wise business decision regardless of the size of your company. 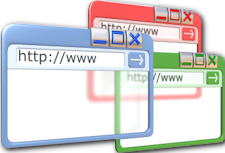 Have you ever heard the phrase “I'll Google it?” If so the importance of a website for your company should be obvious! √ Costs less than print ads, provides more flexibility. √ Effectively promotes your brick and mortar presence. √ Greatly expands your target market. √ Allows customers to shop without pressure or distractions. √ 24 hour per day, 7 days a week global advertising. √ Conveys a sense of stability and adds credibility to your business. It’s obvious that a website is an essential tool for all businesses if they expect to keep up with the competition. Investing in a website is a relatively small investment when your consider the advantages it brings to your business. If you have an existing website you need to ask your self a few questions. Does your site load slowly? Are the images outdated? Can your site be viewed on mobile phones, iPads and other mobile devices? Is your website driving new customers to you? If the answer to any of these questions is no you need to consider a redesign. 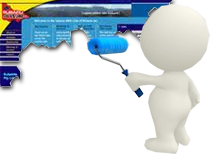 Website technology has come a long was since the Internet’s entry into the business world. It’s important that your website is in pace with current technology and website standards. A poor performing website with outdated content casts a bad light on your business. If your company is currently in this situation, it's time to think about a Website redesign. We will create an attractive, user friendly redesign that will effectively promote your business while enhancing the brand strategy of your company. It's a wise investment for a successful business.